On Monday, the Towners and I went to the Arboretum to see the "Fragrances of Spring" flower show, which also had a Paul Granlund exhibit. The smells were incredible, the orchids were stunning as were the rest of the spring flowers. Hyacinths, narcissus, various types of primroses, kalanchoe, carnations, lilies, and so much more. We had a great time getting a preview of spring! On Tuesday I got to go shopping at Costco and Trader Joe's with Cindy. That included spending the wonderful gift card from Dawn at Trader Joe's, and a delicious lunch at Cafe Zupas. We had a good time catching up, too. Which leads right into the next joy--loads of fun with goodies this week! Treated myself after church to Truffled Mushroom pizza at Pizza Studio in the Mall of America...and found a popcorn shop there so of course I had to bring a bag of cheese popcorn home! Let myself indulge with donuts from Cub, got my favorite sea-salt brownies at Trader Joe's, and eventually I'll break into the madelines from Costco! Nor can I leave out the fun I've been having with chips and guacamole! Speaking of my wonderful mother, I certainly can't leave out her kindness! A tear-inducing Valentine's Day card, a package stuffed full of homemade goodies (cookies and blueberry lemon bread! ), and a sweet note to congratulate me on my 25th anniversary with a gift card too! She is THE BEST! =D And God has really spoiled me with her! 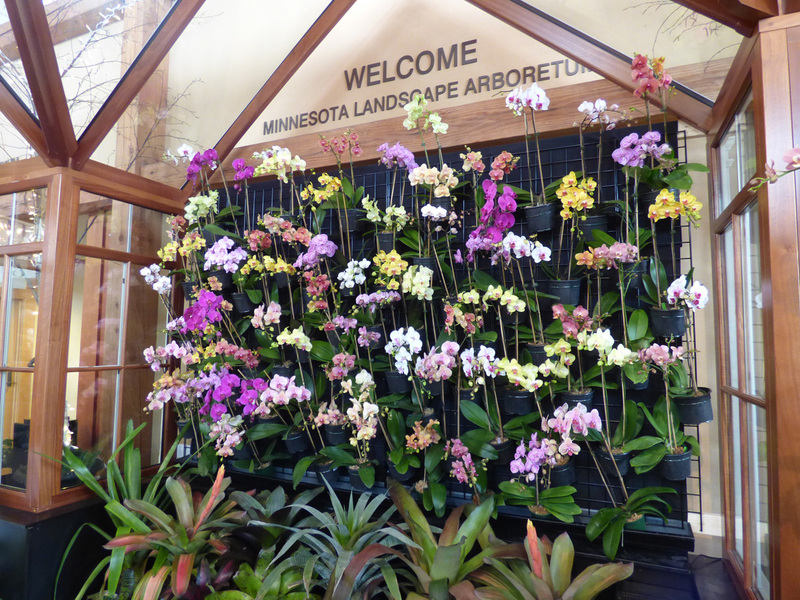 Love the picture of the orchids. So good to hear you have such an enjoyable week. I wish you could have been there, you would have enjoyed it. Your late Valentine's Day gift will hopefully get delivered today...I hope it is intact!